By default, the normal property’s contents object is a white color. Setting the normal property’s contents to any solid color disables normal mapping, causing SceneKit to shade the material using only the surface normal information provided by its geometry. 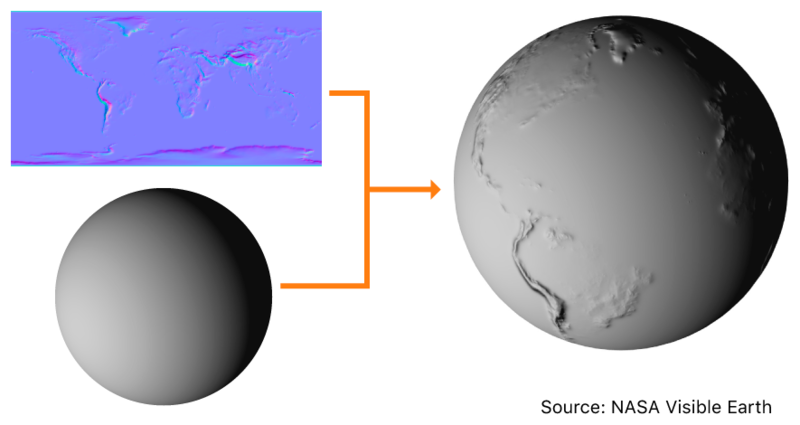 Setting the normal property’s contents to an image or other texture-mapped content enables normal mapping, which also automatically sets the material’s isLitPerPixel property to true. The material’s lightingModel property determines the formula SceneKit uses to combine its surface normals and other visual properties with lights and other contents in a scene to produce the final color for each rendered pixel in the rendered scene. For details, see Lighting Models.